OEM Dealer Equipment at Wholesale Prices! If you need the Integrated Diagnostics Software (IDS), then you also need the Ford VCM II. This particular package comes with tech support included so you can troubleshoot the program if you happen to run into a snag. Tech support is invaluable, especially if you are not accustomed to working with this particular piece of equipment. They can help you get set up and ready to work and answer any questions you might have before getting started. They are also available to answer questions about any issues you might encounter while learning to run the IDS scan tool and will troubleshoot issues with the hardware. The Ford VCM 2 and Ford IDS tool combined will provide you with all of the necessary diagnostic capabilities to pinpoint issues in nearly any 16 pin Ford and all 2013 and newer Ford vehicles. The wireless feature uses USB connectors and adds an extra layer of convenience for your technician to work remotely while the VCM Ford is hooked up to the vehicle. 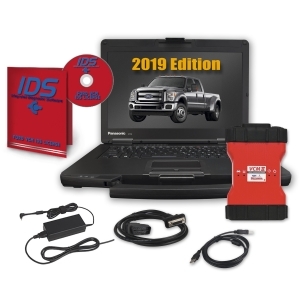 As long as you have a laptop with the proper capabilities, you will be ready to run diagnostics on your Ford vehicle in no time while allowing your technician to work from the office using the Ford IDS tool when necessary. The VCM II is made to be durable and stand up to the abuse it might encounter in most garages using shock-resistant edges. You won’t have to worry about drops and bumps ruining your valuable equipment and can continue to work even if you hit a minor snag. It also acts as a CFR (Customer Flight Recorder) when using the optional connector and supports VMM (Vehicle Measurement Module). Don’t short change your repairmen and technicians with outdated diagnostic equipment. Your employees and customers deserve to work with the best. 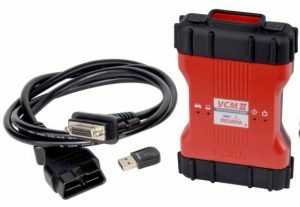 The Ford IDS VCM 2 is a must have for any repair shop that works with 2013 Fords and newer on a regular basis. 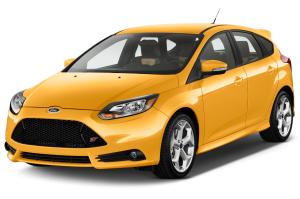 Its performance lives up to the high standards set by Ford in order to properly maintain their vehicles. 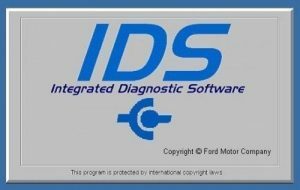 Get the Ford IDS software here and install into your system, then give us a call for your license and you can get to work with Dealer Level Ford car diagnostic tool. Click this link to download the latest Ford software.